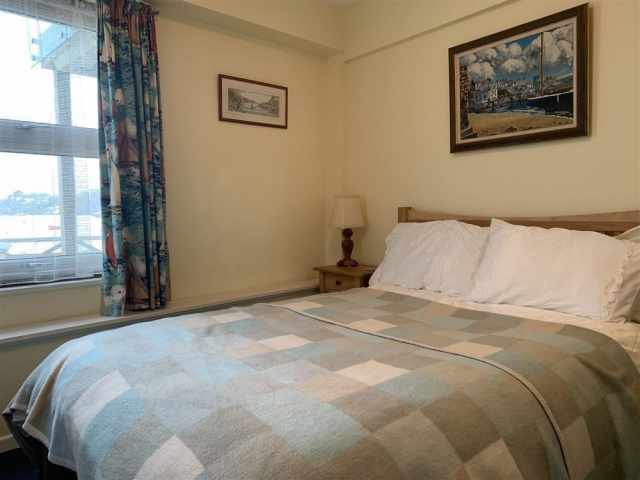 Tommys is a truly special place to stay set on the waterfront in the ancient fishing village of Polruan overlooking the Fowey Estuary, you could not get closer to the water or a scenic view of Fowey and the estuary. 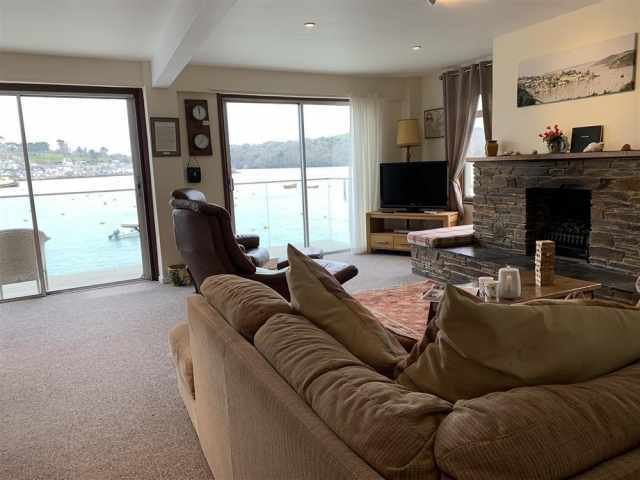 With an enclosed balcony and patio, mooring and quay for your boat with access to Polruan Quay beach at very low tide Tommys has something for everyone. 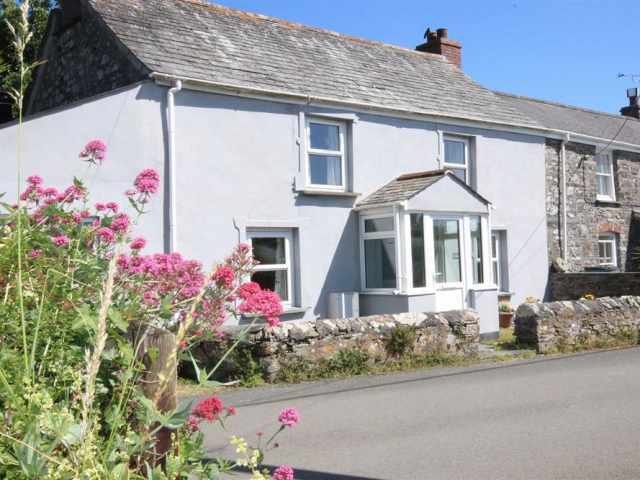 With a couple of pubs, a cafe and a village shop Polruan is a place to relax and unwind from the stresses of daily life. 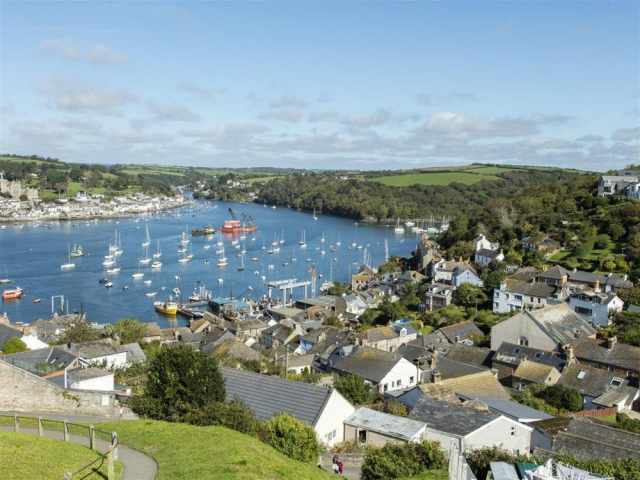 Set into the hill the village look across the Fowey Estuary to it's larger cousin which is packed with many independent shops, pubs, cafes and restaurants and is only a short ferry ride. 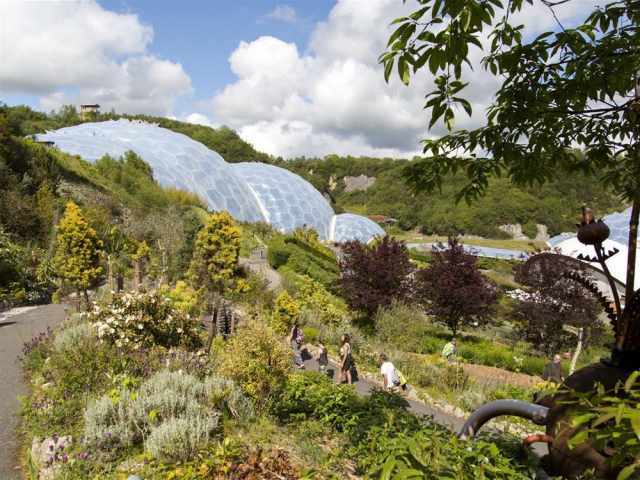 For those who have come to explore the coastal path's you won't be disappointed by the scenery and from the top of the village you can connect to the South West Coast path and take the challenging but spectacular coastal walk to Polperro, stopping off at the remote beaches of Lansallos and Lantic Bay. 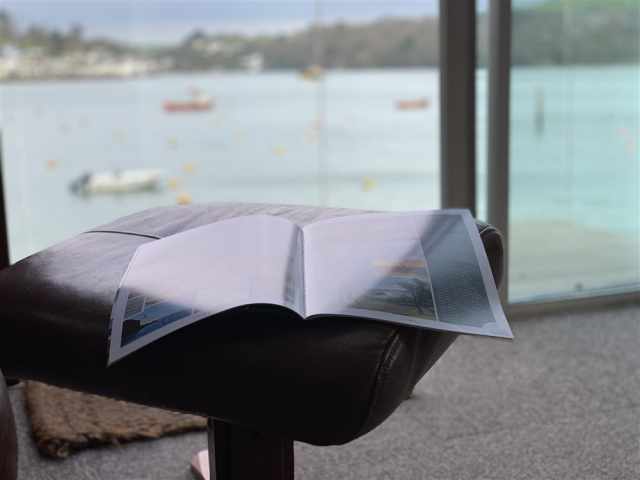 For those who enjoy the water then you have the Fowey Estuary on your doorstep and can venture inland to explore the creeks and inlets or enjoy the open sea from the mouth of the Estuary. Only a twenty minute drive by car you can plan your day's out to the harbours of Polperro, East & West Looe with shops, pubs, restaurants and beaches they are a must see on your Cornish holiday. 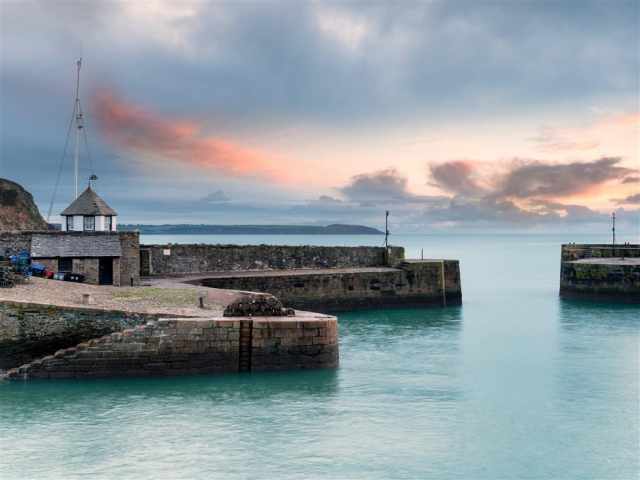 Further afield, 18 miles, is the harbour of Charlestown in St Austell Bay made famous as a film location for the hit TV series, Poldark. Bodmin Moor is a must for any visit to Cornwall and covers some 208 square kilometres of rugged and romantic countryside with Brown Willy the highest point in Cornwall you will see some spectacular scenery on a clear day. 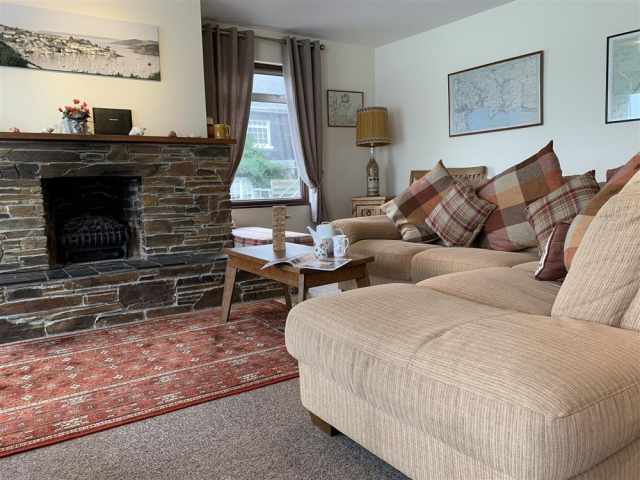 If you are looking for somewhere remote and unspoilt, but with lots to keep you busy, Polruan is the perfect choice for your Great Cornish holiday. 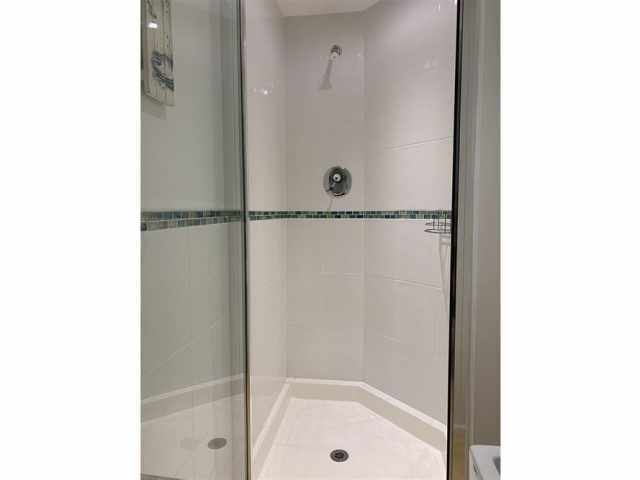 Three steps lead up to a covered porch with a step up into a utility room to the left with a washing machine and separate dryer, a place to dry off you wet dogs before entering the house. 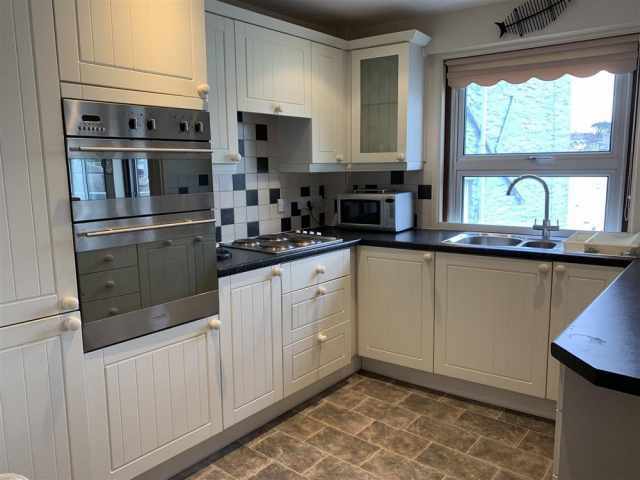 From the front the property is split level with seven wooden steps taking you up to the fitted kitchen with double oven and grill, built in fridge with separate freezer below, four ring electric hob and slimline dishwasher and microwave. 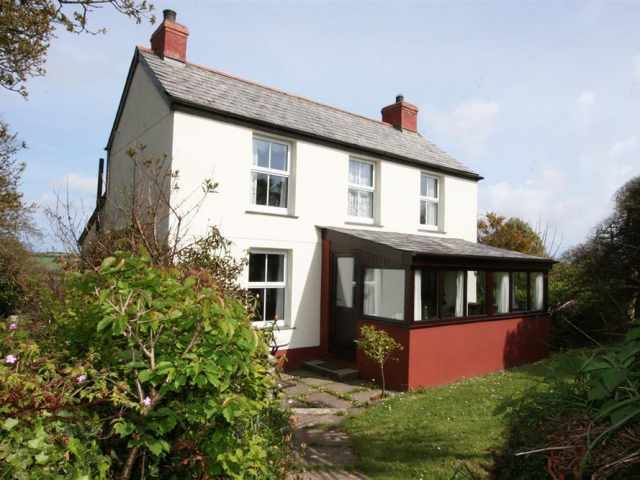 A picture window gives you wonderful views over the Fowey Estuary and a useful serving hatch into the living space. 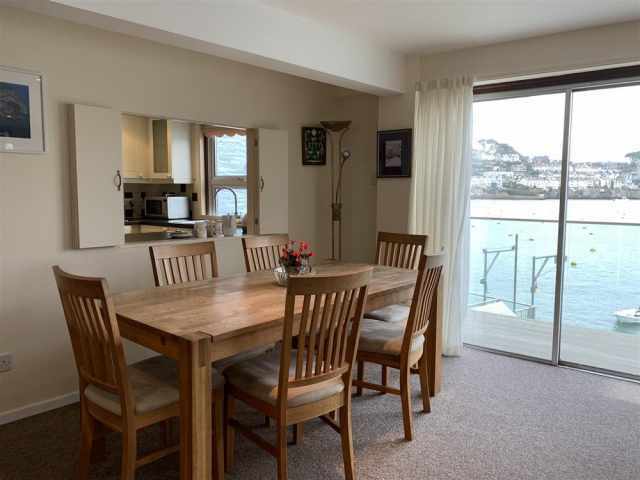 From the kitchen a door opens into the living space with the most wonderful views across to Fowey and up the Estuary with two french doors opening out onto the deck enclosed by glass with outdoor furniture. An corner sofa makes the most of the views set in front of the fireplace with an electric fire. A wooden dining table and chairs are positioned by the serving hatch but also make the most of the views. 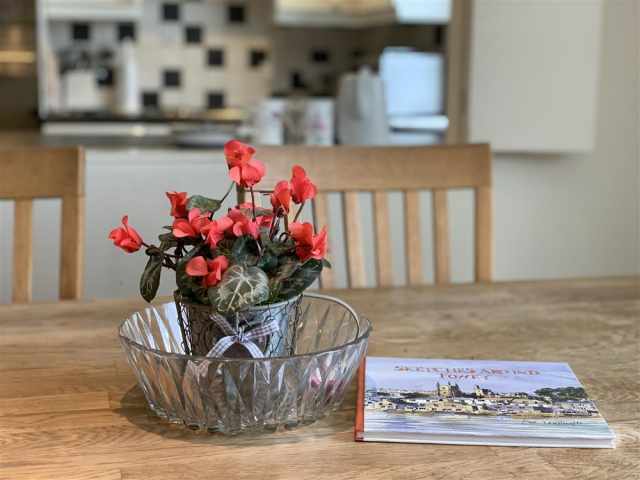 A further set of steps from the front door with six steps take you down to the bedrooms with three comfortably furnished rooms all with Estuary views. 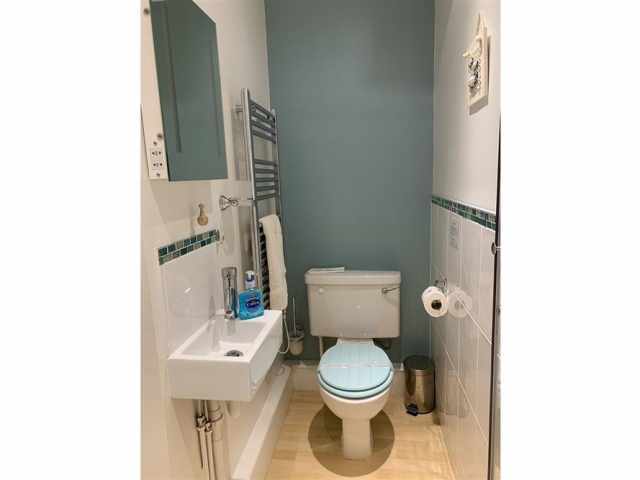 A double bedroom with a standard double, storage cupboard and sink. 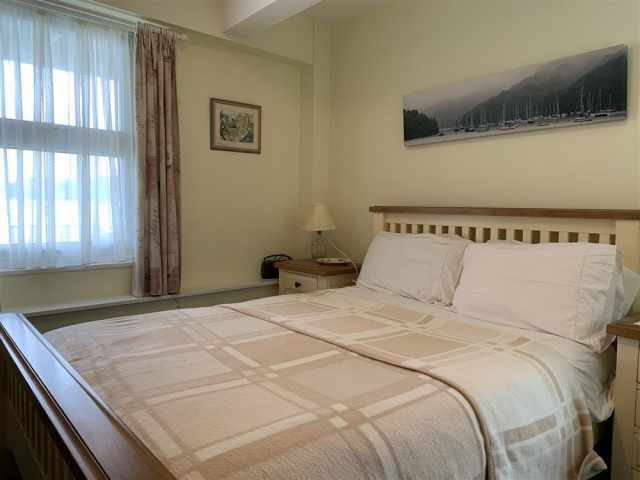 A bunk bedroom with two 2'6 bunk beds with storage and a third bedroom with a kingsize bed, chest of drawers, wardrobe and basin. 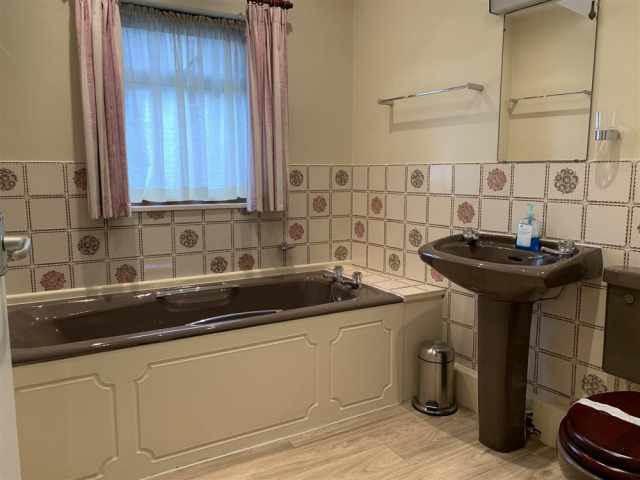 A separate bathroom W.C with a heated towel rail and a further shower room with a W.C, basin, heated towel rail and glazed shower unit completes the accommodation. 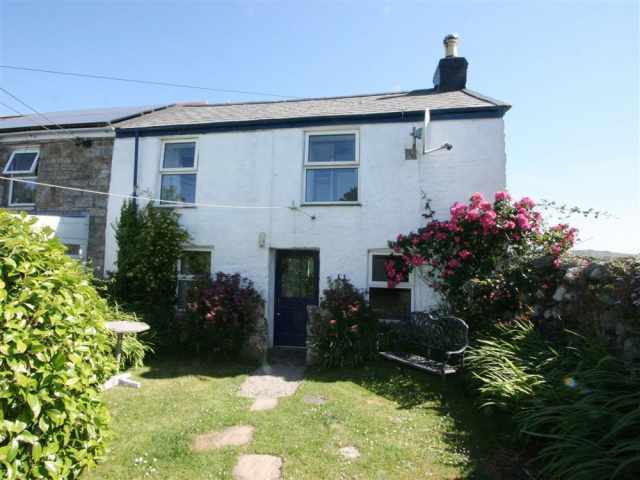 Two steps from the front door and a shared path lead to the gated entrance to the enclosed patio overlooking Fowey, the estuary and surrounding creaks. 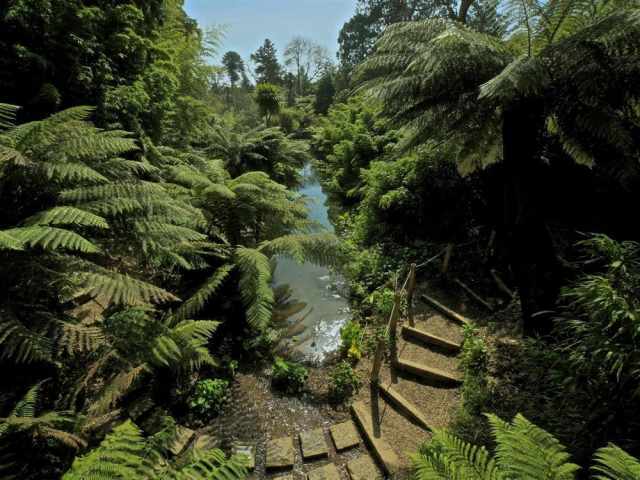 Although the patio is enclosed by a wall there is a gate and steps down to the Estuary with its own mooring. Wooden table and chairs and a built in bbq are ideal for enjoying lazy days and watching the world go by. A further concrete path to the side of the property with two steps lead you to the water. Tommys is heated by four night storage heaters with further plug in electric radiators. 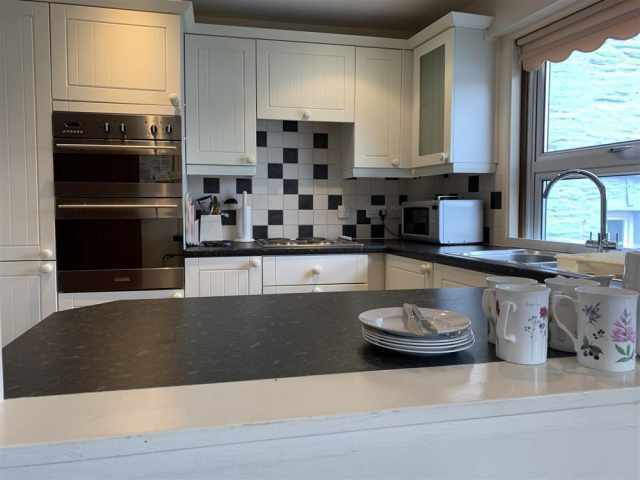 The living space, bedrooms and hallway are carpeted with the kitchen and bathrooms with vinyl flooring. 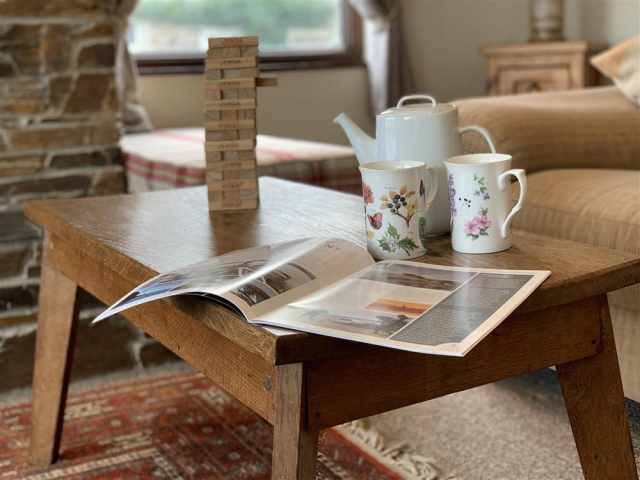 The cottage has no direct parking but you can quickly unload outside before parking in the main car park at the top of the village. There are thirty three steps from West Street to the front door.